I had the WORST experience trying to photograph this mani! 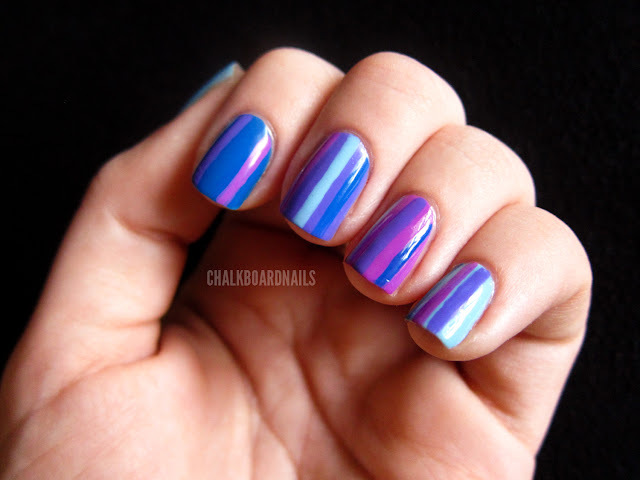 When I was trying to use my lightbox for pics, the Pucci-Licious and the Blue Streak kept looking like they were the same color, which really ruined the effect of this mani! Thankfully, they showed up better and more color accurately in the morning sunlight, so I went back to my old photo method for these. Pick out the four or five colors you want to use. Paint one nail each of the colors. I only picked four colors, so Cattitude got put on both my thumb and pinky. 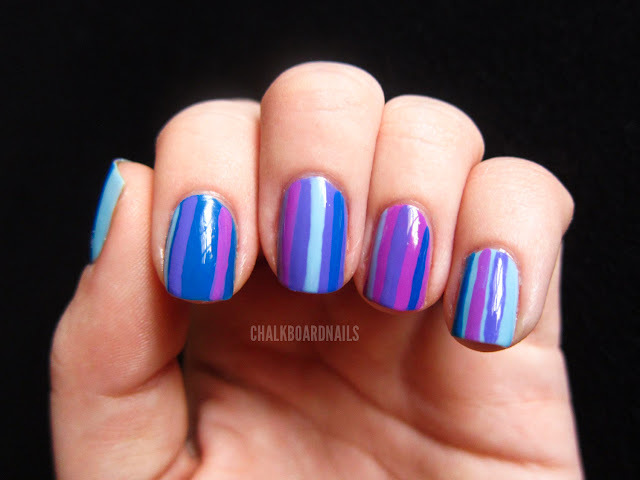 With a small nail art striper, or other small nail art brush, pick one of your colors and paint a vertical stripe of it on all of your nails (except, of course, the nail that IS that color already). You can place the stripe wherever you want. In fact, I recommend that you put it in different spots on each nail. The random effect is really nice. Clean your brush with acetone, and repeat with your remaining three colors. Clean up your cuticles and fingers with a brush dipped in acetone or remover. Let dry for a bit, and finish with a quick dry topcoat (I used Poshe). Pretty easy! 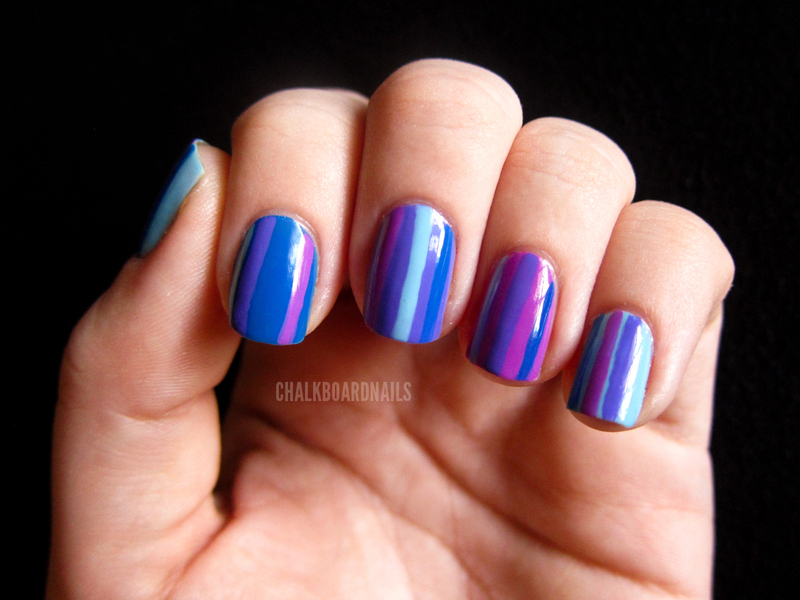 Seriously, the randomness of the stripes really makes this mani nice! You can even make the stripes different widths if you are so inclined. I think this mani is overall pretty purple. So, I'd also like to take a moment to mention that today is Spirit Day, a day where people are urged to wear purple in support of LGBT youth and to speak out against bullying. 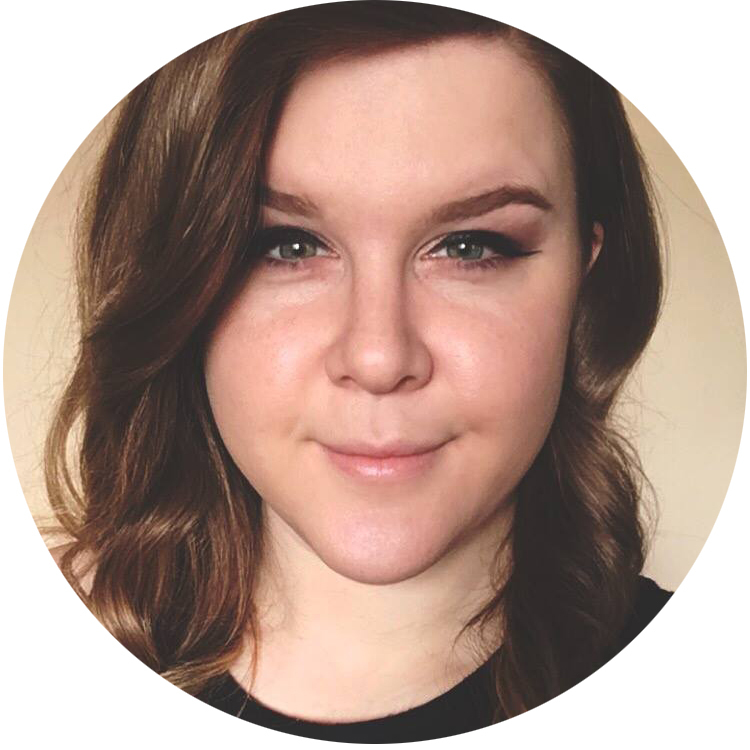 Please visit the GLAAD Spirit Day page to learn more about this important cause. Very nice, love the colors you chose! There is NOTHING wrong with knowing what you're good at!! You are awesome at alot of things!! AM loving these colors you picked-they are great together. Good idea. It almost makes it look faceted. I would like to try this!